Following the teaser clips earlier this week, EW has posted a new story on The CW’s Arrowverse crossover for this year including a new photo of Ruby Rose as Kate Kane, a.k.a. Batwoman. In the mixed-up Elseworlds timeline of the three episode run, The Flash (Grant Gustin), Arrow (Stephen Amell) and Supergirl (Melissa Benoist) team up to go to Gotham City. While they won’t see Batman, they will deal with Superman (Tyler Hoechlin) and Rose’s Batwoman. 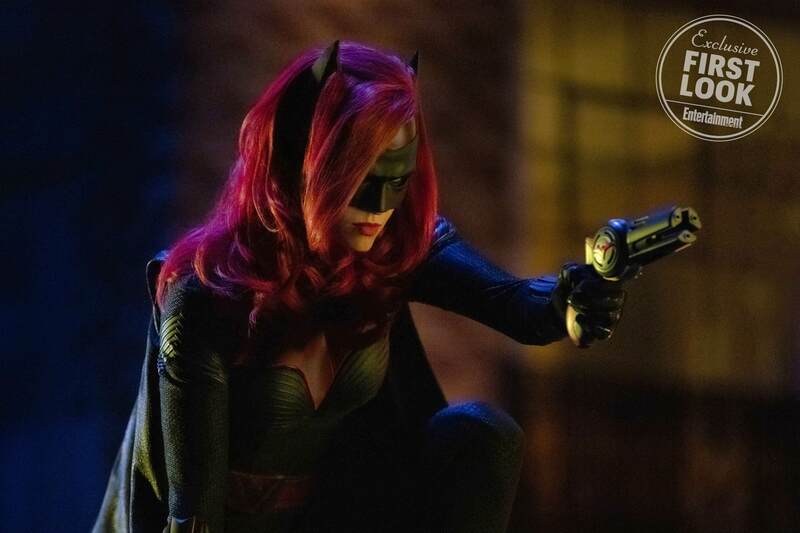 It has been revealed then our trio of regular heroes visit Arkham Asylum to see doctor John Deegan (Jeremy Davies), this leads to Batwoman’s first appearance with her using her grapple hook and Batarang to stop two inmates attempting to escape from the facility and saving Arrow and Cisco in the process. The ‘Elseworlds’ crossover begins Sunday, December 9th and continues over the next three nights. Next articleA “Peaky Blinders” Film In The Works?